Available May, 2019 and beyond. 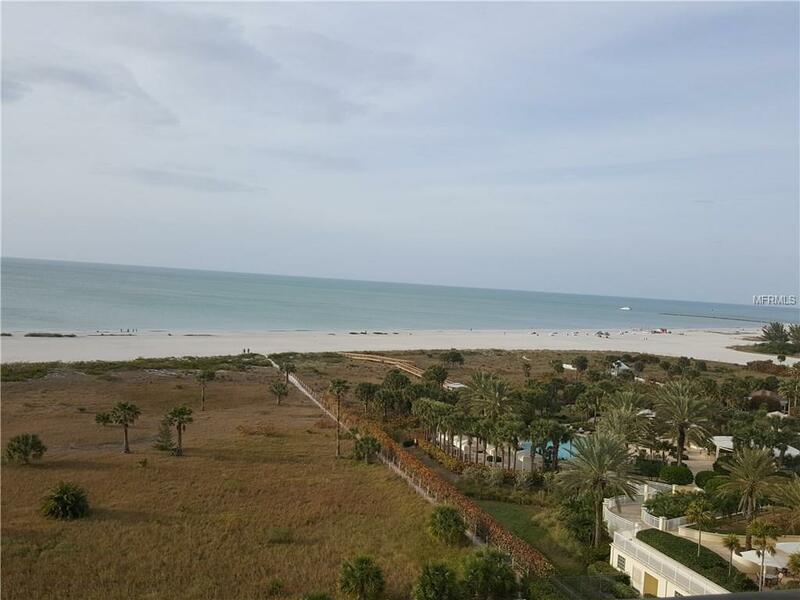 This gorgeous beachfront 10th floor condo has water views from every window! The 2-bedroom 2 bath condo has been newly updated. 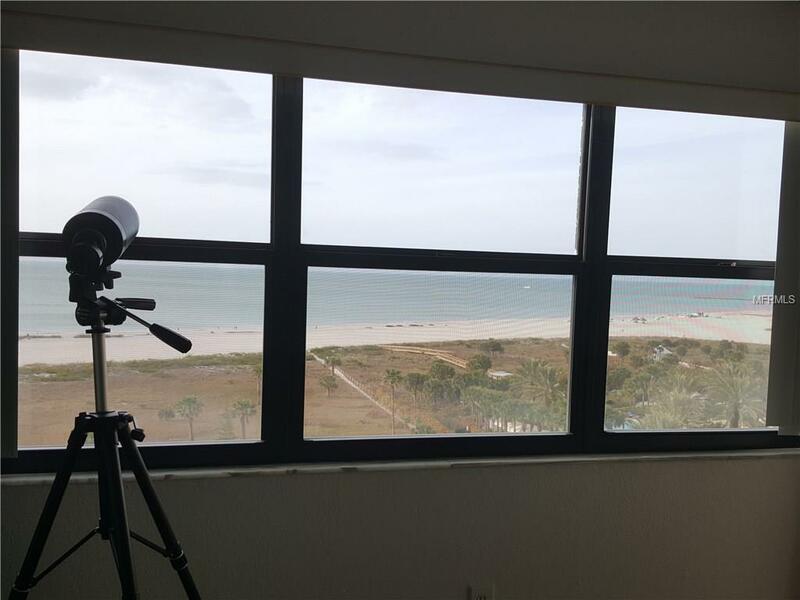 The expansive windows fill the rooms with natural light, and full views of the Gulf. The beautiful kitchen has maple cabinets, granite counter tops, stainless steel appliances and a glass tile back splash. The kitchen has been fully equipped with all the essentials: dishes, cups, flatware, pots, pans, cookware and cooking utensils. The large open floor plan allows for flow between the kitchen, dining area and large living room with wall to wall views of the Gulf. The large living room has ample seating, ocean inspired furnishings, and is fully equipped with cable TV, and wireless internet. The large master bedroom with en-suite bath has wood floors, king size bed, & access to the covered balcony. The 2nd bedroom is equipped with a bunk bed with twin over full bunks, and a separate full-size bed futon sofa. The 2nd bedroom also has a walk-in closet, full chest of drawers, and views of the intracoastal waterway. Sit on the back covered balcony and watch the gorgeous crimson sunsets over the Gulf. The front balcony area allows panoramic intracoastal waterway views of the sunrise in the morning. 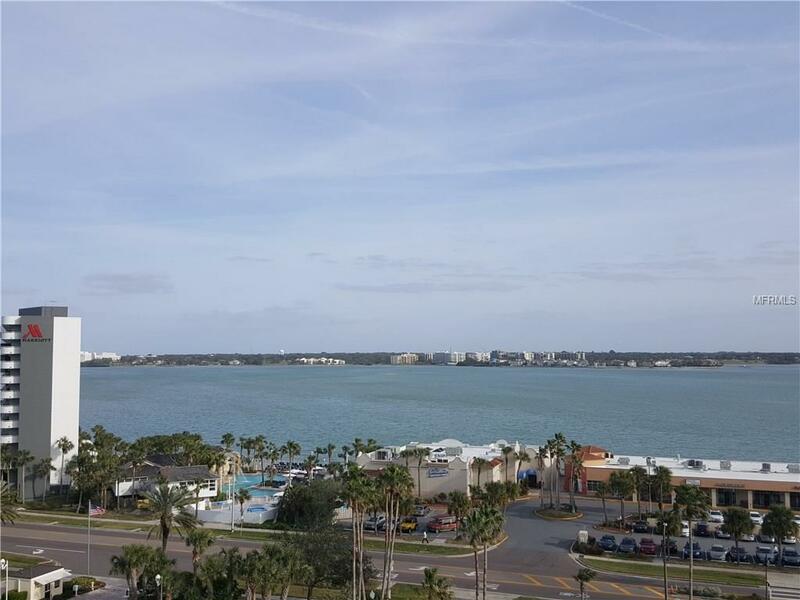 Windows throughout the unit, and its high-level floor provide awesome water views, and refreshing coastal breezes! 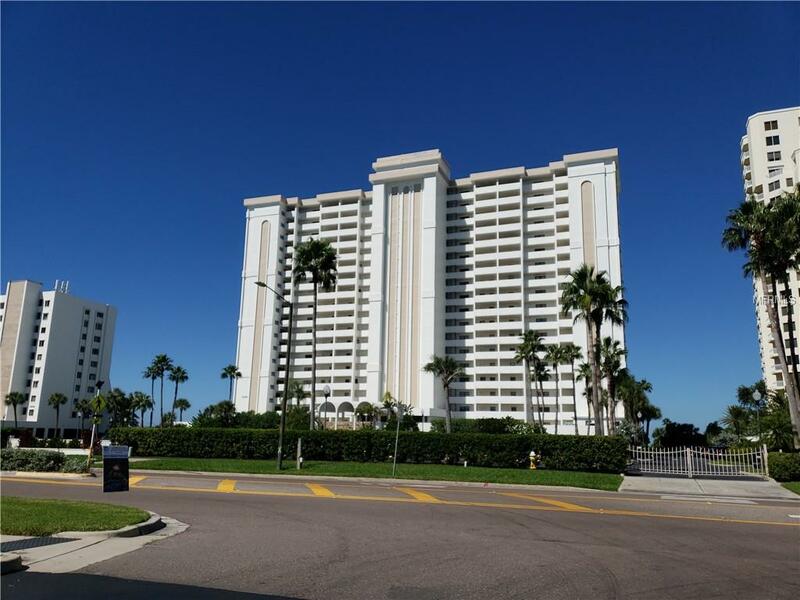 This condo is conveniently located near shopping, and the Jolley Trolley Clearwater Beach transportation system.